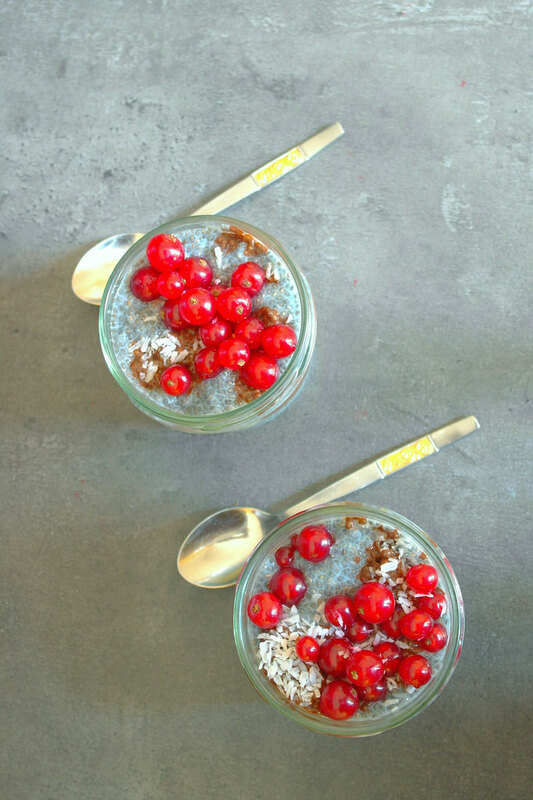 Healthy Chia Dessert - simply & healthy vegan recipes that taste amazing! Chia seeds are full with heathy minerals and can improve your health when eating chia on a daily basis. 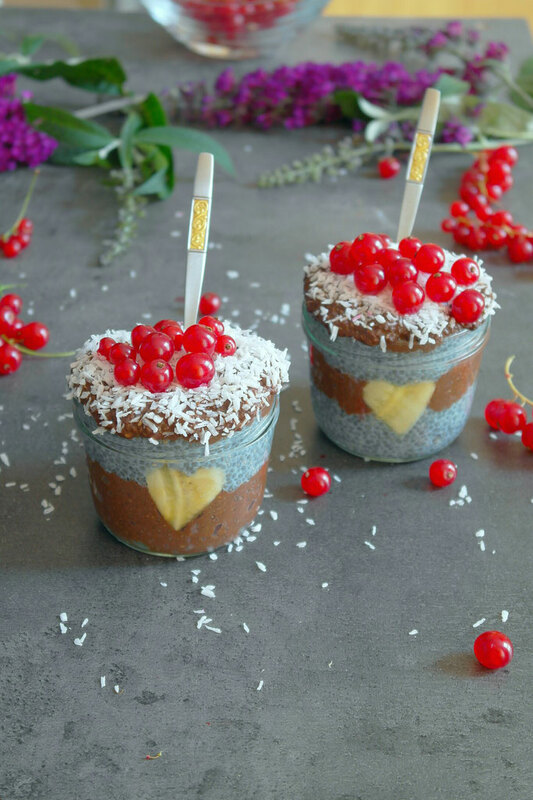 This easy and delicious dessert only takes a few minutes to prepare and you need only 4 ingredients. Follow me on instagram for more dessert and breakfast ideas. place the pudding in the refrigerator over night. 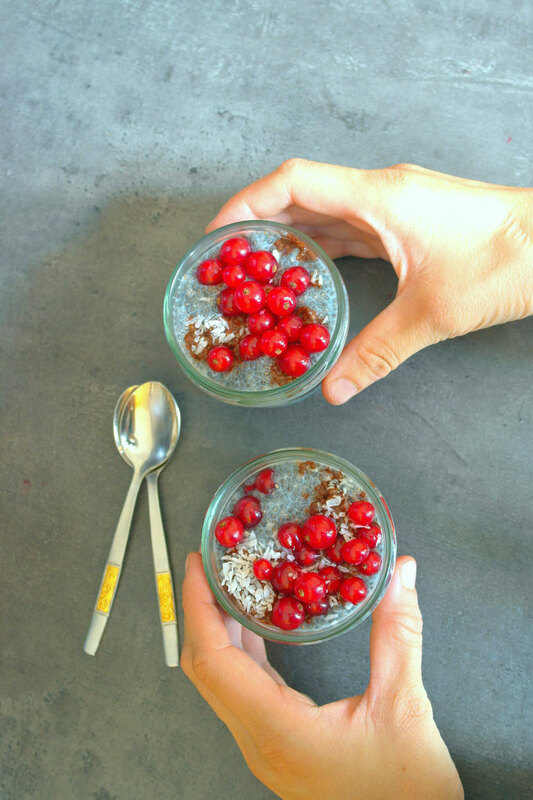 Die Schichten in 2 Gläser schichten und mit Beeren (rote Ribisel) und Kokosraspeln toppen.